Stunning images of contemporary Spitfire flights are interwoven with historic wartime footage and interviews with former pilots in this new documentary about the iconic fighter plane. 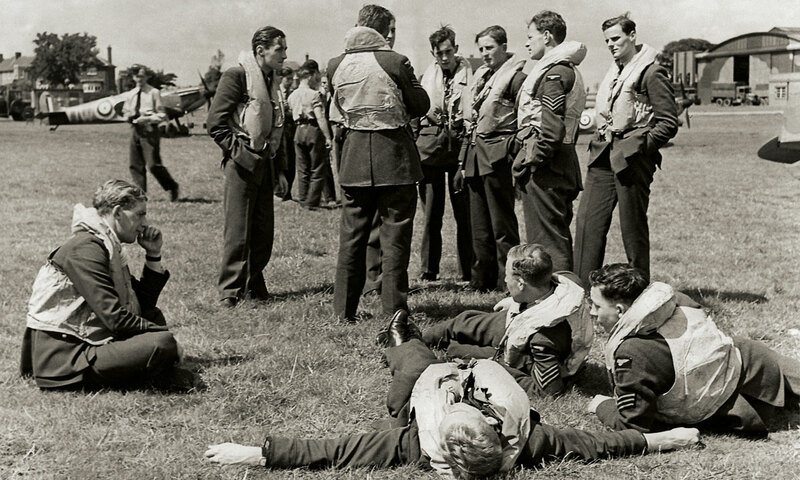 One of the few surviving Spitfire fighter pilots says that it was “just an instrument of war”. Have we created an overly romantic notion of the aircraft? The documentary Spitfire doesn’t shy away from such questions but it inevitably and rightly traces the plane’s importance during World War II, with contributions from those who flew it. Spitfires played a huge role in defending Great Britain, to the extent that they are now regarded as iconic aircraft. They helped repel Germany’s aerial onslaught despite being outnumbered four to one, and with Hawker Hurricane fighters were key to both the success of the Allied landing in France and the defence of Malta. The aircraft has been under continuous development since the first step from a Schneider Trophy race plane, and it is intriguing that the original Spitfire wing design seems to have been cribbed from the Germans; the Mk9’s engine was certainly enhanced after examination of a downed Focke-Wulf 190. Other major phases of design change are covered in Spitfire. Narrated by Charles Dance, the documentary is filled with interviews with former pilots, including women from the Air Transport who made thousands of flights delivering planes across Great Britain. Pilots talk about fear and excitement and not thinking of the future in case they didn’t have one. Special credit should go to the aerial filming coordinators whose work allows exceptional images of contemporary Spitfire flights to be interwoven with interviews and historical footage. The shots taken over the white cliffs of Dover, for instance, are simply stunning. Fifty of these planes are still flightworthy and more are on their way. People flock to see them at air shows for a number of reasons, all of which will draw viewers to this production.